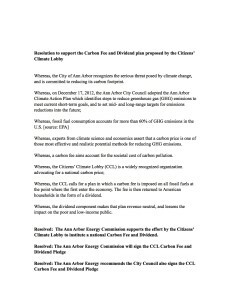 On Tuesday, January 12th the City of Ann Arbor Energy Commission voted nine to one to endorse the carbon fee and dividend proposal of Citizens’ Climate Lobby! According to Commissioner Stephen Raiman, who introduced the resolution in support of CCL’s proposal, “Carbon pollution is expensive for society, and the market should reflect that. The Citizens’ Climate Lobby has a fair and realistic plan for reducing GHG emissions. Their Carbon Fee and Dividend plan is consistent with the goals of the Energy Commission, and with the values of the people of Ann Arbor. The Energy Commission recommends that the Ann Arbor City Council also endorse the Fee and Dividend proposal. This will be brought up at a future City Council meeting. 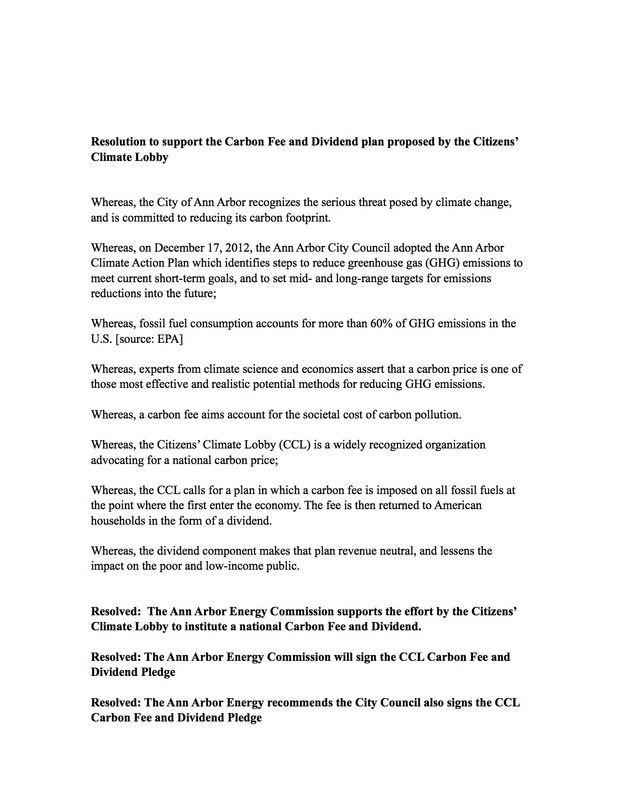 Ann Arbor CCL is pleased that the Energy Commission recognizes Carbon Fee and Dividend as a promising plan to quickly reduce GHG emissions while benefiting the economy, and is very grateful for their support and encouragement. Building broad support is key to passing such legislation, and the Energy Commission’s endorsement demonstrates that leaders in our community are with us.